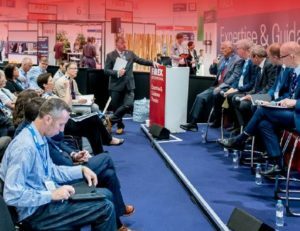 Gerda recently highlighted the dangers of smoke with live demonstrations at FIREX International 2018, the UK’s largest trade show dedicated to the fire safety industry. Andrew Thompson, business development manager for Gerda, told FIRE TV about what the tests involve and what they can tell us about the dangers posed by smoke when fire breaks out. He also shows the contrast in effectiveness between a fully compliant Gerda fire door and one from another brand. Gerda Security is a UK manufacturer of fire safety and security products. WATCH: How Gerda fire doors prevent the ingress of smoke Gerda recently highlighted the dangers of smoke with live demonstrations at FIREX International 2018, the UK's largest trade show dedicated to the fire safety industry.